A daring endeavor, an extraordinary woman artist. 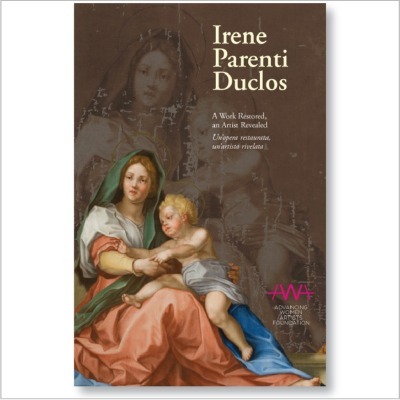 Irene Parenti Duclos, a native Florentine painter and poet, climbed up the scaffolding at the Church of SS. Annunziata and stared Andrea del Sarto’s beloved Madonna del Sacco straight in the face. Her own enormous copy of the fresco, now hosted in the Accademia Gallery, has become a sign of her times. A copyist for Grand Tour travelers who flocked to Florence in the eighteenth century, Duclos benefitted from the liberal policies of a city that has always proved a powerhouse of female creativity. The painstaking restoration of her most famous work safeguards a fragment of the city’s heritage, shedding light on Duclos’s masterful technique and her uniquely Florentine genius.